After his crushing victory against the Puerto Rican McJoe Arroyo on Saturday March 16 at the AT&T Stadium in Arlington, Texas - former world champion Luis "Pantera" Nery appeared before the media at the Mariscos Villa Marina restaurant in Tijuana to talk about his last fight and his plans for this year. The boxer from Tijuana, who has a record of 29-0 with 23 knockouts, was accompanied in the meeting with Tijuana media by his promoter, Fernando Beltrán, CEO of Zanfer Promotions, and Guillermo Brito, his manager. The Tijuana promoter, Fernando Beltrán, highlighted the great work his pupil achieved in his debut in North America, which was also Nery's debut under the Premier Boxing Champions banner. "I think he has done an excellent job and great work, he debuted in the United States on the right foot and he did as he should do as a champion," said Beltrán. "Now the myth is over, we have already made 118 pounds in the United States so now they can no longer say that he's not a bantamweight. We are very proud, despite the cancellation of the silver title fight, that he would make 118 and did it without any problem. Without a doubt, he is the best bantamweight in the world." Regarding his future, Beltrán announced that Nery will seek a world title in the next few months with possible opponents like Nordine Oubaali or, Naoya Inoue, which could be held in the United States. Inoue is currently involved in the World Boxing Super Series, as are many of the top bantamweights. For his part, Nery, who regards himself as the best 118-pounder in the world, was happy to achieve an important victory in such an important scenario in the United States. 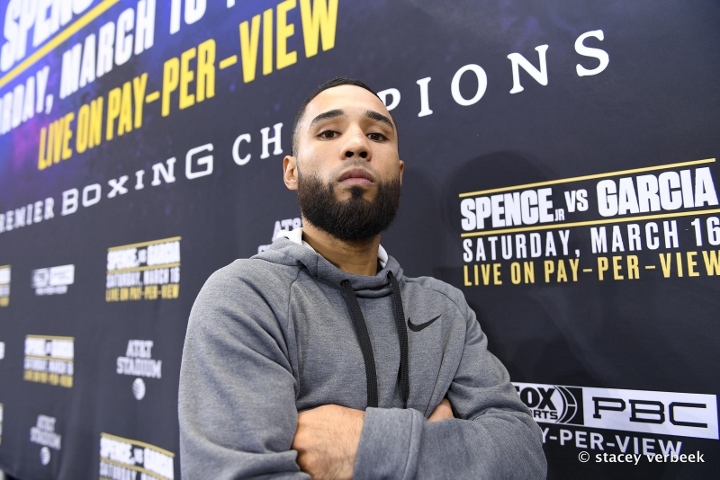 "I'm very happy, it was a tough fight, but we had prepared very well for this opponent, so fortunately things did go as planned and now we are going to prepare for what follows," said Nery. The 24-year-old said he is ready for whatever comes in his future with the goal of becoming a world champion. "I'm ready for whatever it is, but I'd like to face Nonito Donaire because it would be a great fight. I think that with my preparation and my natural talent with my boxing we can beat any of the champions," said Nery. Please. Stay outside the monsters barricade for their own safety. Nery vs. Oubaali for the WBC title! Make It Happen! Should be very easy to make! Let's Get It! [B]ASAP! [/B] Wilder vs. Breazeale undercard!